Of course, it is considerably more ‘down market’ than any theme park I’ve been to in Europe, but still fun! We especially enjoyed the dodgems – or bumper cars, which is a better name because you are actually allowed to bump here! There was also a fun ride which went round in circles and you could press a button to move up or down! However, the merry-go-round (or terror-go-round) was an ‘unforgettable experience’ (top right photo). It seemed to have only one speed: very fast, and the seats swung out at about a 45 degree angle. Finally, it went on for what felt like an age. My daughter threw up after going on it, and I felt dizzy for quite a while! Kind of fun, but not for the faint-hearted! 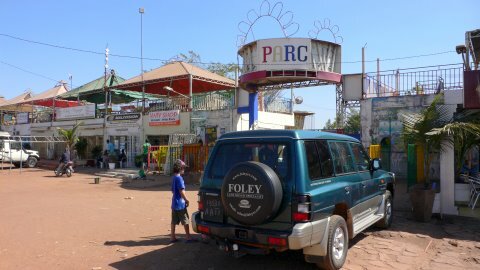 To see the Luna Park on Tim’s Bamako map, click here. The park opens around 4:00pm and is worth a visit (but don’t blame me for any injury/discomfort/trauma suffered during your trip!) There are loads of nice photos of the park here and an article in French (showing the park packed out to capacity) here. 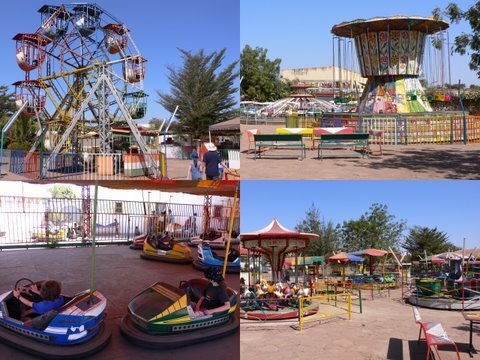 Of course, the Luna Park reminded us of “Magicland” in Cotonou (blogged about here) and, whilst that one was newer and therefore less run down, I think that the Luna Park has as much to offer in different ways. 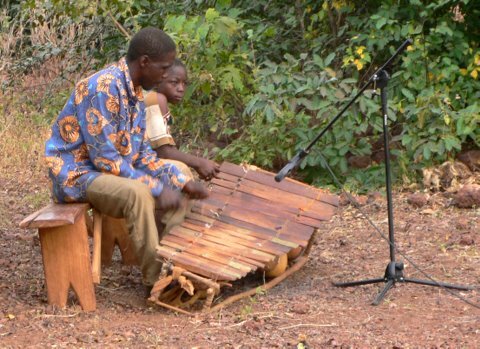 The balafon is a bit like a xylophone or marimba and is played in many parts of West Africa, including Mali. Wow! So there’s hope for me yet then! Download and read Roberta’s full article here – it’s very interesting. 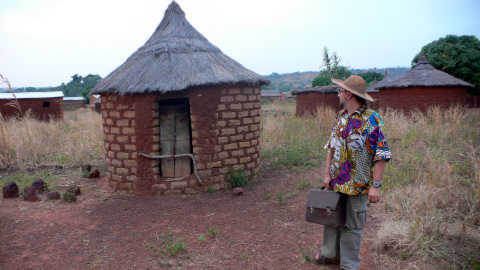 For example, the counter says that I’ve had 2,814 visitors from the UK, 2,543 from the USA, 201 from Canada, 79 from Mali and 70 from Benin! I wonder who they are and why they visit? Thanks to Reggie for sending me those – I hope you all found them interesting! And, no, we don’t even walk around bare-footed! The main reason is the dust and dirt everywhere and the fact that it’s cooler and more comfortable to wear sandals. Mind you, we do take our shoes off indoors, so the dust on the floor is bound to have an effect on our feet, even if it is washed regularly. THANKFULLY, our bathroom is equipped with a bidet which – rather than being used for its designed function – provides a handy foot-wash before bed time! Now, I must confess I was dubious about visiting the place; I’d been to other African zoos and generally not been impressed by the conditions (of the animals and how they’re kept). 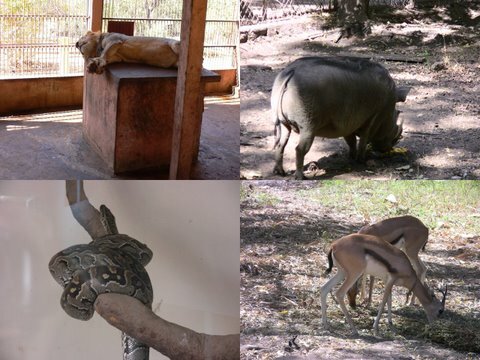 However, I was pleasantly surprised by Bamako zoo, which was well laid out and with a good range of animals to see. AND…they were all still alive!! They even used to have manatees, but their pool is now empty. The guys at the zoo assured me more manatees were ‘on order’ and would arrive soon! 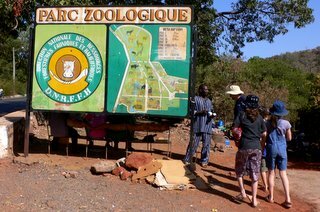 Click here for another blogger’s description of Bamako Zoo and here for a couple more nice photos of the place. The best thing was the entry fee: 50cfa per person (that’s about 8 pence!) 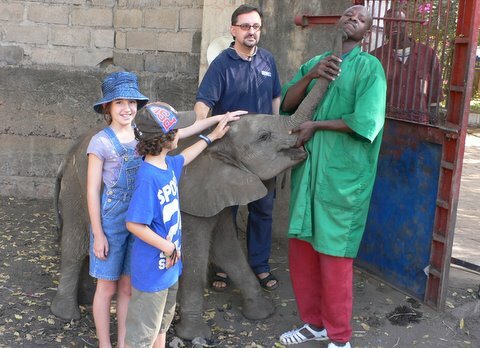 Mind you, to enter the elephant enclosure, we had to pay an extra 500. T.I.A.!!! 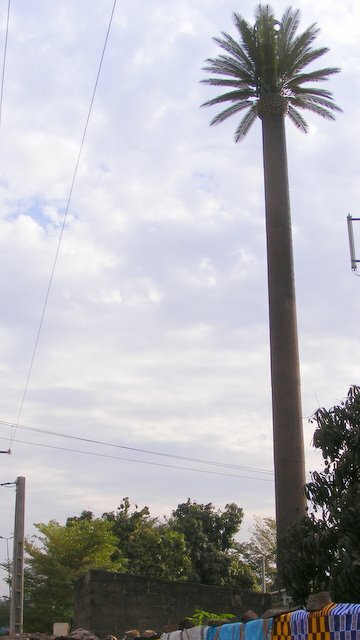 There never used to be a palm tree on the corner of the riverbank road in Badalabougou. Until last week, that is! Hmmm…strange! This rare specimen of tree can be easily seen from the New Bridge and has a curiously straight trunk and very uniform branches.